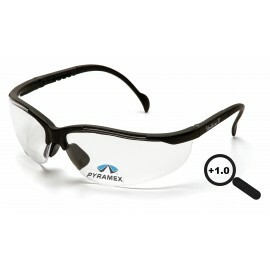 Venture II Bifocal Safety Glasses from Pyramex are perfect for general purposes for indoor activities. 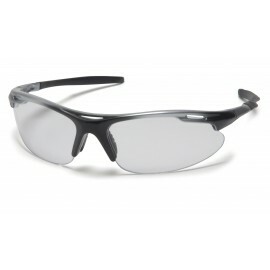 Available in a range of reading lenses and the 9.75 base curved lens provides full side protection. The Venture II Bifocal glasses feature nose buds that secure the glass and prevent slipping while providing a pillow soft fit. With a strategic placement of the lens insert, it is out of the user's direct line of vision.